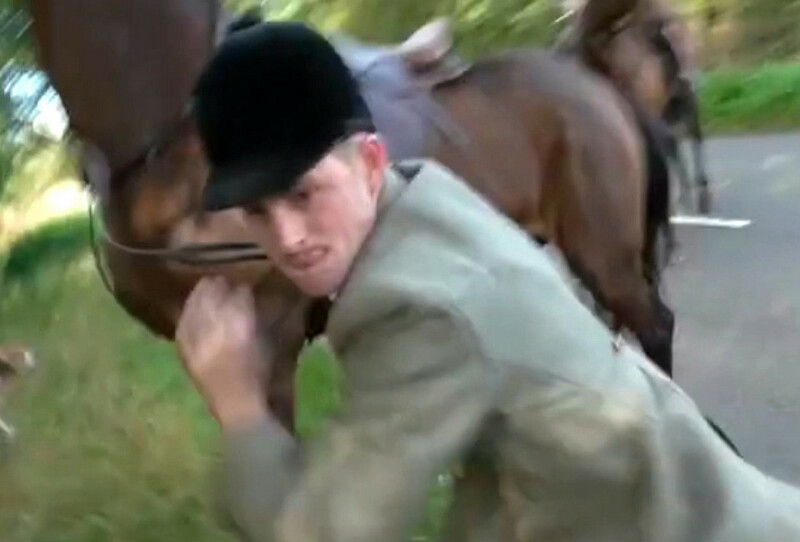 Police are investigating after footage emerged of an altercation between the man on horseback and a protester. 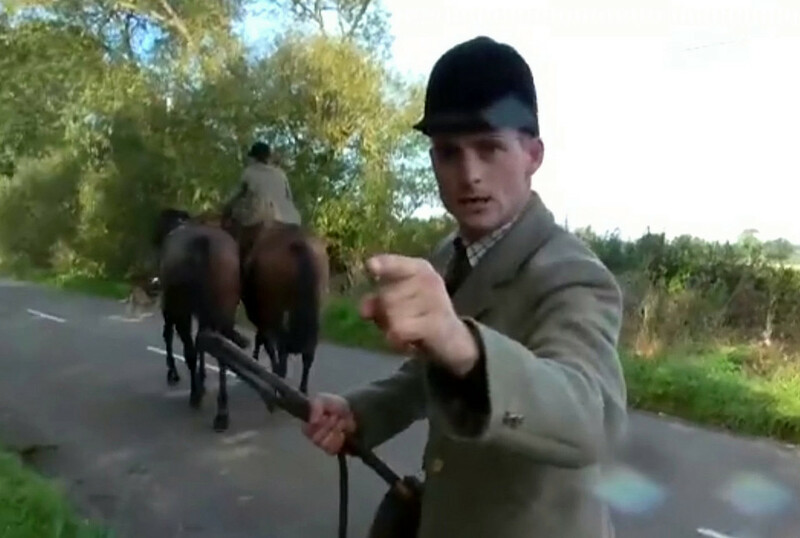 But the member of the hunt, who is on horseback, dismisses the claim saying “you think I am going to believe you” before continuing up the road. 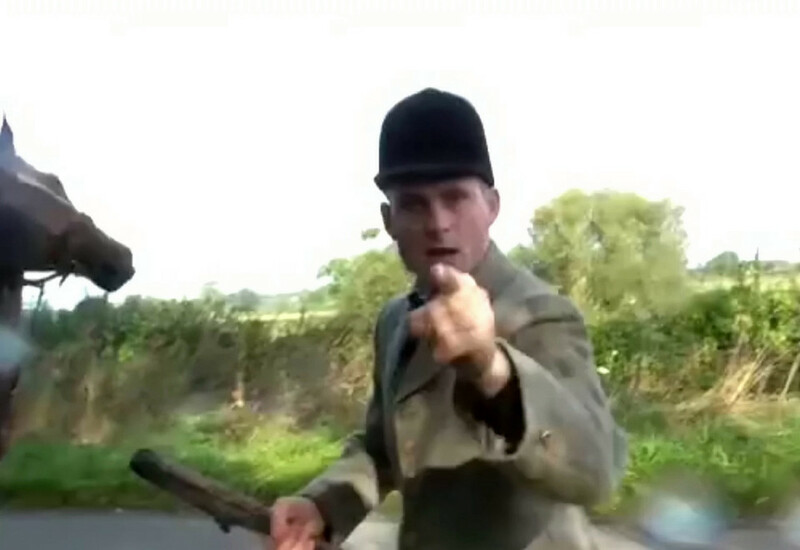 The member of the hunt, who is carrying a whip, can then be seen pointing angrily at the camera as he shouts “never do that again mate”. 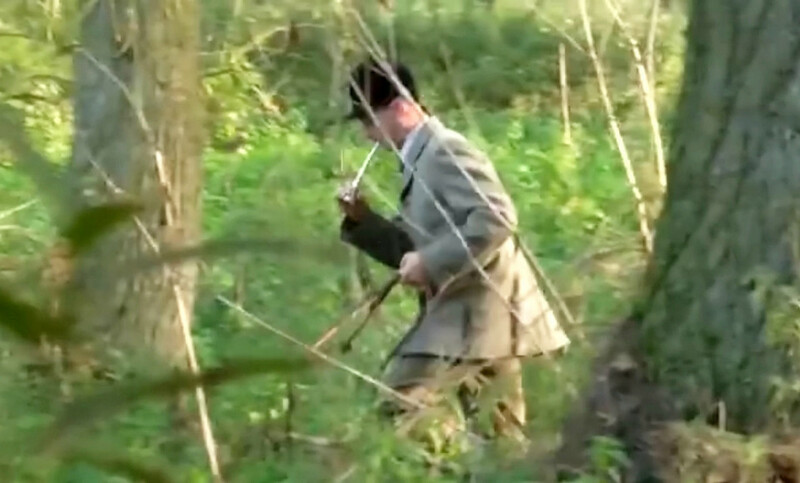 A spokesman said: “Police received a call from a man on Monday evening reporting an assault alleged to have taken place that morning in Wellsborough Road, Sheepy Parva. 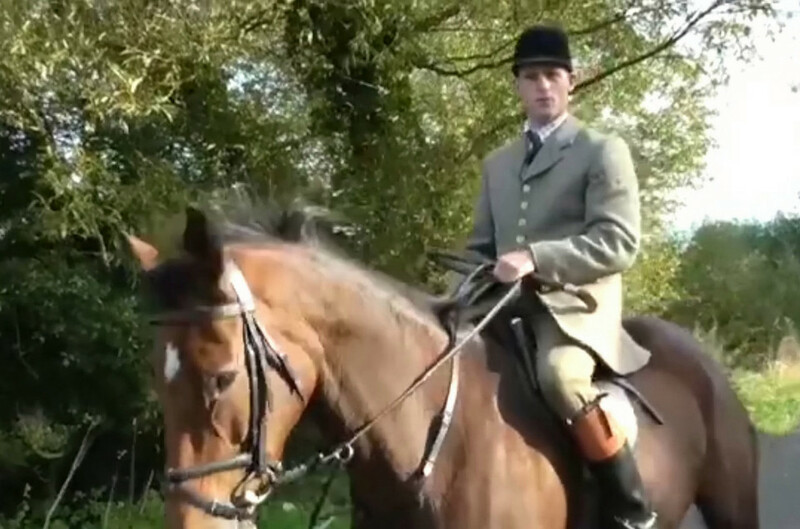 Video footage showed the dead fox in the mouth of one of the hounds but it isn’t clear if anything has come of the investigation.